this is a sign we drove by in chicago en route from the airport to ctu - no idea what it is a sgn for! i'm here speaking at a conference on mission, culture and vocation which gets started later today and i'm looking forward to. ctu is the home base for steve bevans, roger schroeder, and robert shreiter among others - they have produced amazing thinking and writing on mission over the last 30 years that has influenced me profoundly. so it's a real privilege to come and do something sharing from our own experience with pioneers at cms. it's always wonderful to meet flesh and blood heroes. on monday and tuesday we had induction for new students starting on a certificate, diploma or m.a. so it's been quite a week so far... it was fantastic to meet people doing such interesting things and am looking forward to getting to know them. it's our biggest intake so far which is encouraging though very few pioneer ordinands in the mix (as everywhere i think). i suspect that will swing back over time. thanks to sally for the first review of the pioneer gift which she suggests is both innovative and important with plenty of theology. she actually goes through each chapter so if you want a map to let you see how the book flows and the themes explored it's a good place to look. join us at grace this saturday sept 13 for the first grace of a new season. 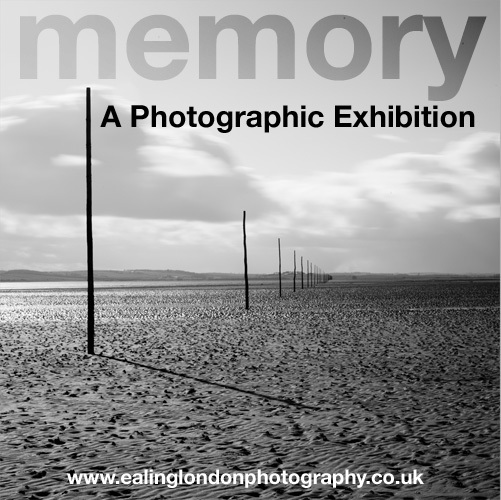 we are privileged to have memory, a photographic exhibition from the ealing london independent photography group in st marys on its last day and will be surrounded by and using those images suspended in the air as a focus for the evening. we have a new pattern we're trying out where we cycle through some different types of evenings through a term. this is the first where we have a specific art focus. in many ways i think the wave of creativity that has happened in the last 25-30 years in the church began in youth ministry, with youth ministers aware that the gap between youth culture(s) and church was a huge chasm. youth ministers began to look at cross cultural mission for clues as to how you might take a different approach. emerging church, alt worship, fresh expressions, pioneer ministry all followed on in due course. all that by way of saying that it seems great that richard passmore and jo dolby have dreamed up three days in the year to explore pioneering youth ministry. 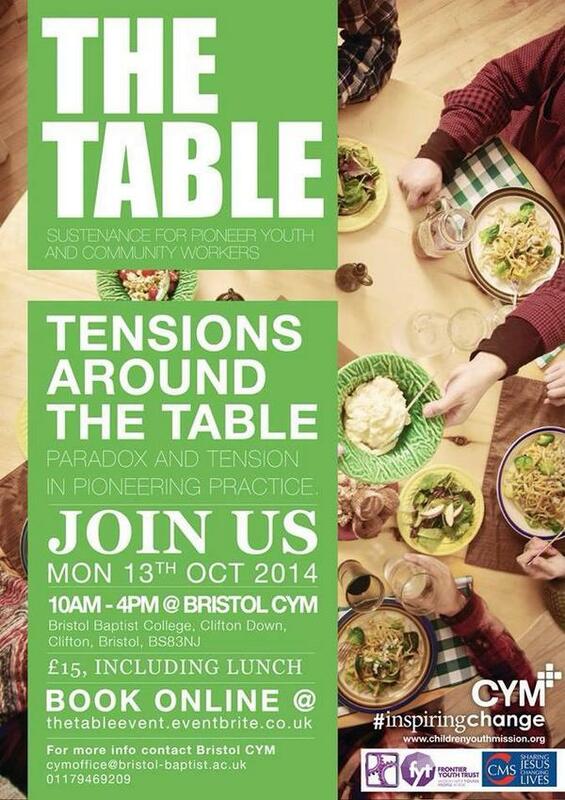 under the heading the table, the first is on oct 13 in bristol. cms are a partner and i'll be there and then at the pioneering spirituality day the next day! you can book here. inhabit is a new gathering/conference in the uk. it has a life in the usa with a focus on community and neighbourhood transformation. i know tim sorens well who is involved and a great guy. i'm also delighted that several cms pioneer students are taking part who are doing wonderful things in their neighbourhoods - berni, kim, sue. and shannon who leads our missional entrepreneurship module is there as is the amazing sue (butler). so whilst it may be something of an unknown it should be good! click on the link above for details and you can book here. for me i am speaking at a cms event in cheltenham on the saturday and it clashes with a ReSource weekend in london... maybe i'll make it on the friday? i am looking forward to october 14 when we have a day at cms on pioneering spirituality. this follows on from the day we had last year. that was so good we ended up producing the pioneer gift. there are several speakers and workshop leaders. i am particularly chuffed that steve bevans will be with us as he is one of my heroes... the idea of the day is to push out conversation and thinking about pioneering mission about which we are learning lots and have lots more questions. i hope too that we will simultaneously begin to pull together some resources around pioneering spirituality. we'll keep you posted. you can download a flyer here, read here for details of what is happening, and book here. last year was full so book early. hope to see you there. this year's resource weekends are up - a great way to learn by visiting a place and seeing what people are up to in pioneering mission. these stand alone or even better do all three - a great way to learn about mission and also a good taster for the pioneer training at cms. the first one is moot in london and is in october so book soon! i feel like i still live by a school year! the beginning of september is the new year... don't know if you are the same? i hope you have had a good summer anyway. so a few posts about the year ahead and especially in relation to some training and things you could connect with. first up we will be starting a new year of pioneer mission leadership training in a few weeks. this will be the fifth year. it's a challenging one because we are switching accrediting universities to durham and will have a new dilpoma and ma and still have students in the current university. these build on what we have done before but the ma is completely redesigned and i think it's an exciting mix of mission, theology, leadership, reading culture and so on. but it's a bit late to sign up now! however a lot of people audit modules and you may want to have a look around and join in something. i think we are set for our biggest intake so far which is exciting. this is of course a biased view but if you are into pioneering in mission do look at training with cms - what is unique about us is that we are solely focused around pioneering and that cms as a mission comnmunity is such a great place to locate it! yesterday we hung the memory exhibition in st marys ealing. it was quite an ambitious way of hanging the photos suspended in mid air off the balcony but we got them up and lined up and it looks great. if you are in london or anywhere ealing do visit - it's open 9-5 mon-sat and until 9pm thurs evenings for the next two weeks. the private view is this wednesday evening - give me a shout if you want an invite to that. 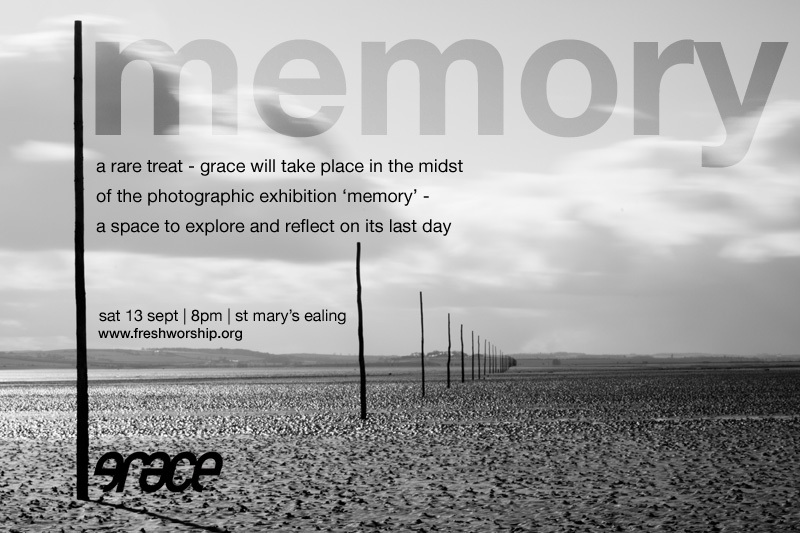 and the next grace will be themed on memory and use the photos on the last day of the exhibition.